Rachel McKay Steele admits her parents were a bit surprised when she first told them the title of her upcoming solo show. But when the 33-year-old comedian performs “Shiva For Anne Frank” in New York City this week it will not be for the shock value alone. In fact, Steele noted, two new pages Frank wrote that included dirty jokes were discovered just last May. And if Frank were alive today, Steele muses, the writer would likely have enjoyed the wedding of Prince Harry and Meghan Markle. “I think Anne would have been Team Selena Gomez,” Steele joked, referring to Bieber’s notorious 2013 comment that Anne Frank would have been “a belieber” on his visit to the Anne Frank House. “I think it was a ridiculous move on his part,” she deadpans. Over the last few years the quick-witted comedian has performed in comedy clubs around New York. This show, on November 29 and 30 at The Peoples Improv Theater, is a culmination of over a year’s work. It will include an exploration of her own cultural and sexual identity as she relates to Anne Frank and the book she first read in high school. It was during those formative years that someone she was dating made a joke about her nose. It may or may not have been the reason she had rhinoplasty, she said. 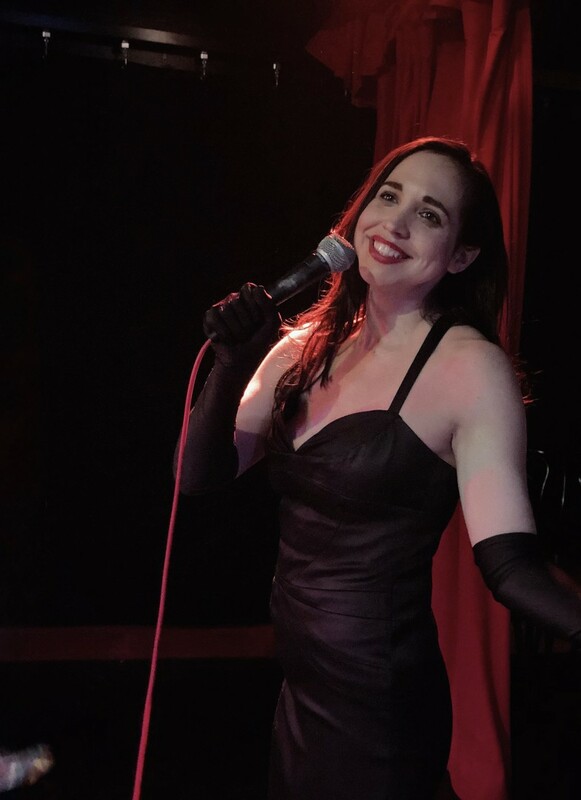 Though she’s mining a serious topic for comedy, Steele is hopeful her great respect for Frank will shine through and the performance will be a celebration of her life. Though its crucial to push against perceived boundaries, she notes, it is also important to be mindful. And Thursday can’t come soon enough for her. “Shiva For Anne Frank” will take place at The People’s Improv Theater, 123 East 24th Street on Thursday, November, 29 and Friday, November 30 at 7:30 p.m. Tickets here.